Asheville is widely recognized for its scenic views, recreational venues, the Biltmore House and Thomas Wolfe. However, it is not so well known that this mountain community has hosted some of the finest classical musicians in the world over the past six decades. This season marks the 66th year of the Asheville Chamber Music Series, which has sponsored over 280 concerts in its distinguished history. It is one of the oldest chamber music organizations in the country. The Alberni Trio gave the first concert on October 16, 1952. Since then, chamber ensembles from around the world have visited Asheville through the efforts of ACMS. These include the world-class Budapest, Emerson, Fine Arts, Juilliard, and Kodaly quartets, along with trios, piano quartets, quintets, larger chamber ensembles and duos, such as the one featuring cellist Janos Starker and flautist Jean-Pierre Rampal. 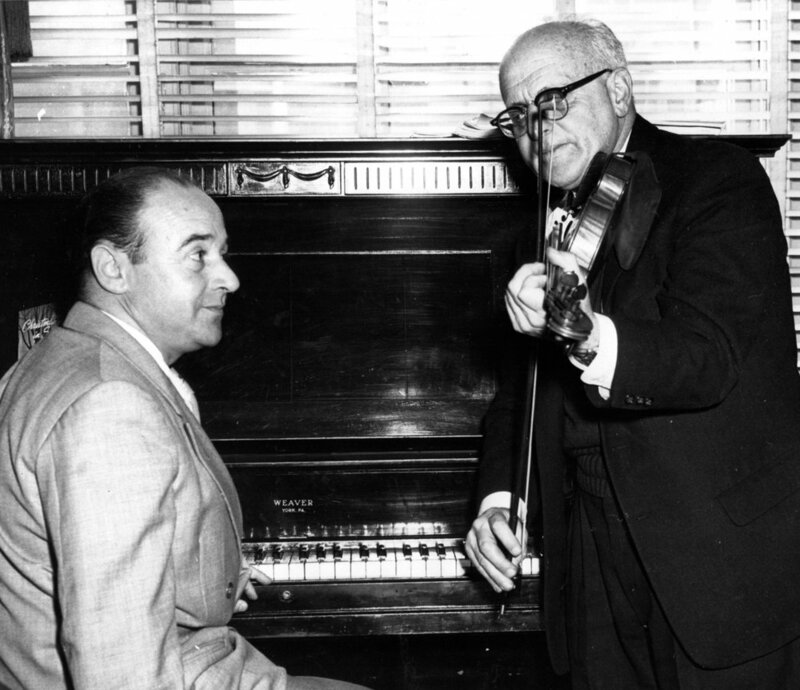 The legendary Amadeus Quartet performed in the first season and returned seven times, partly due to the Mr. Vandewart’s friendship and hospitality. Mr. Vandewart was a leading force in the organization until his death in 1985, and to acknowledge his contributions to ACMS, each year one concert is designated as the Joe Vandewart/Annie Westall Memorial Concert. Ms. Westall, an Asheville native and tireless supporter, served on the board from its second season until her death in 1984. For the first fourteen years, concerts were presented in the auditorium of the David Millard Junior High School. After successive moves to Lipinsky Auditorium at UNCA, the Asheville Community Theater and the Asheville School, concerts since 1991 have taken place at the Unitarian Universalist Congregation of Asheville, which offers excellent acoustics as well as a comfortable, intimate setting conducive to the enjoyment of chamber music. In an effort to attract an audience less familiar with the chamber music repertoire, in the late 1960s a special fund was established to allow students to attend concerts free of charge. In addition, ACMS sponsors programs at local schools featuring the visiting artists. Today, the Asheville Chamber Music Series is flourishing, thanks to its growing and enthusiastic subscriber base. Ticket sales and contributions provide the financial stability required to bring world-class chamber music to Asheville.